Sudden pain in one of the knees is usually the result of overusing the knee or suddenly injuring it. The knee joint is particularly vulnerable to damage and pain because it takes the full weight of your body and any extra force when you run or jump. This is why you are more susceptible to knee pain if you are overweight. Applied Chiropractic techniques to relieve pain. A multi disciplinary approach to address many joint or muscle pains. Additionally, we can help you lose weight. 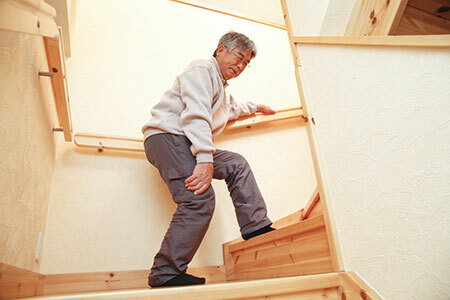 “I sustained an injury to my left knee, which suddenly became unstable when climbing a few stairs. I battled the problem with the help of painkillers and gels but by early January was barely able to walk. I contacted Shaneil as he'd successfully treated a foot problem the year before and I knew he would give an honest opinion. Without an x-ray, Shaneil could not promise a cure but he felt confident that he could treat the knee and surrounding muscles sufficiently to relieve the problem and keep the knee functioning until I returned to Australia. The treatment has been extremely successful. In fact, while sightseeing in Paris recently I walked close to 20,000 steps each day with no after effects. On top of that, I climbed up and down five storeys in the hotel twice each day as the lift had broken down. I stopped using gels and painkillers weeks ago, and my knee can now take fairly intense pressure whereas initially the slightest pressure would have me in agony and feeling nauseous. I like that Shaneil is happy for me to ask for a lighter session if I feel that's sufficient for the day.